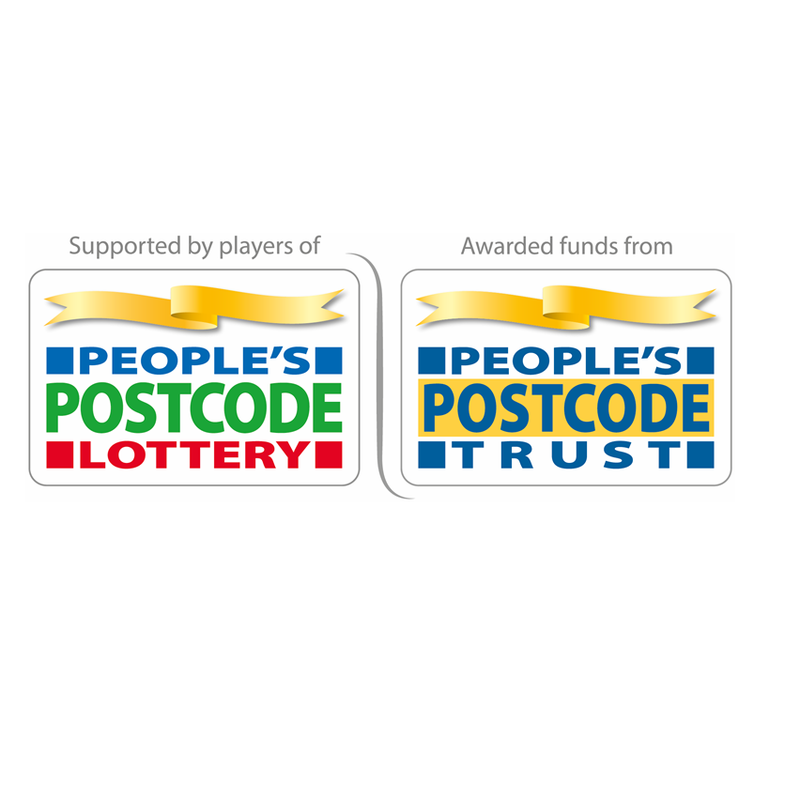 We are extremely grateful for the support of the People’s Postcode Lottery through the Postcode Trust for awarding Deafblind Scotland £20,000 to continue supporting our Connect 2 Support welfare rights home visiting programme. Deafblind Scotland’s Connect 2 Support home visiting programme aims to make social welfare and welfare rights more accessible for deafblind adults and has helped more than 500 people since the programme began. Often, severely sensory impaired individuals rely totally on welfare benefits and incur additional expenditure due to the nature of their disability e.g. the cost of Guide/communicators etc. Welfare reform seems relentless and often difficult to negotiate. Welfare benefits are complex and the processes remain time-consuming, particularly for deafblind people. CABx are overwhelmed, their open-door policy in many cases no longer exists and initial contact is via a call centre. Their engagement process relies heavily on the completion of forms. For many deafblind people, this operating model is too difficult or even impossible to engage with. When deafblind people are unable to access information, this exacerbates their feelings of social isolation and loss of independence. Achieved 100% success rate with sensory impaired individuals moving from Disability Living Allowance to Personal Independence Payment. Achieved 100% success rate with assistance in claiming Attendance Allowance, where the individual’s sensory impairment had not developed until the later years of the person’s life. The C2S programme has alleviated real day-to- day financial concerns for many deafblind/ visually impaired people. If you would like to know more about the Welfare rights programme then you can call Helen or Riley on 0141 777 6111. 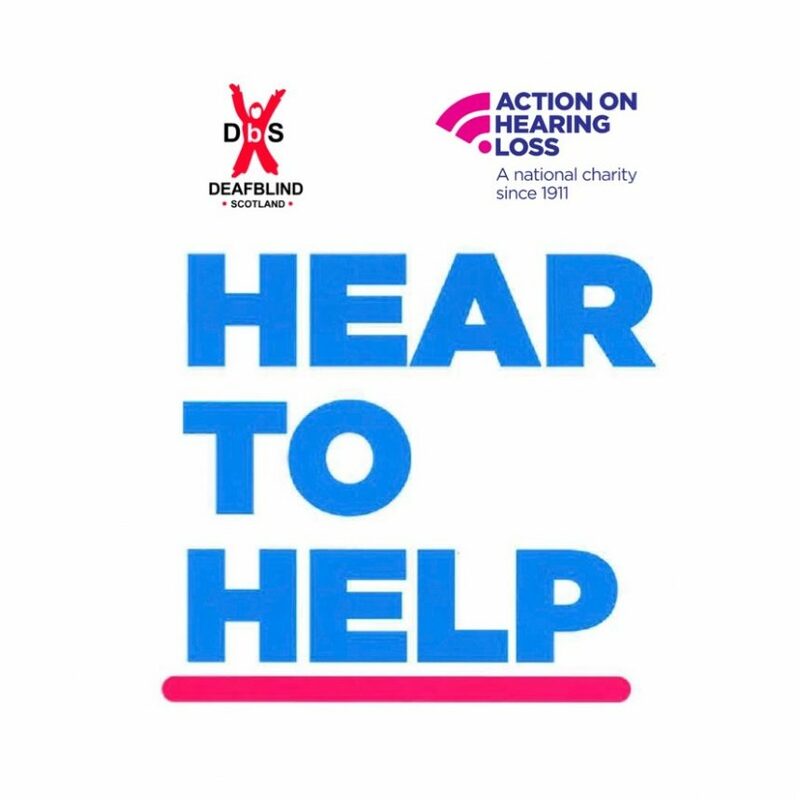 We are launching a monthly Drop-in clinic for hearing-aid maintenance at DBS. The sessions will offer advise on how to look after hearing aids, change batteries and tubing (these should be changed every 5-6 months). They can also offer support on how to insert ear moulds correctly and signposting to other useful organisations. 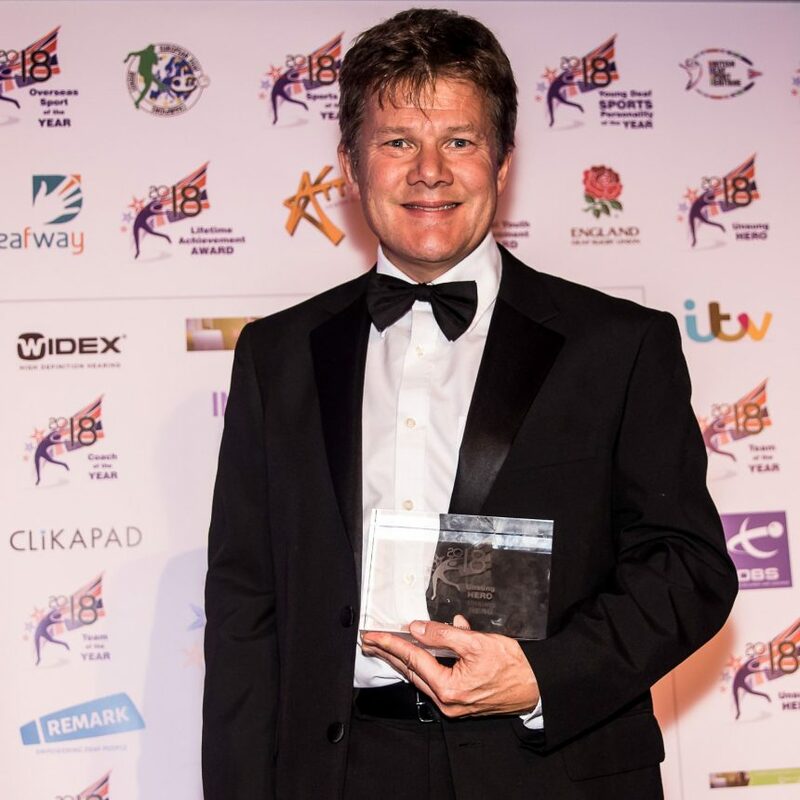 Huge congratulations to Bob Nolan, Chairman of Deafblind Scotland, for winning the Unsung Hero 2018 award at the Deaf Sports Personality of the Year Awards 2018. His award was sponsored by InterpreterNow. Just want to thank you for all your kind messages and support for last night’s Deaf Sports Personality of the Year Unsung Hero award. Whilst it was focused on this year’s Three Peaks Tandem Challenge I know it had a lot to do with all four challenges over the years and my time with Deafblind Scotland and DBUK. It was wonderful to be back at the home of Lancashire Cricket Club where I spent many happy days watching cricket with a packed lunch from my mum. It was also great for Louise and I to share the evening with some dear friends who have supported us so often. I want to thank Jackie and Richard at DSPY for organising last night’s event and Andy and the InterpreterNow team for sponsoring my award. People ask why I do these things and the glib answer is I enjoy them! I like setting targets and stretching myself to beat them. I also do them to raise awareness of Deafblindness and money for our Field of Dreams project at DbS. I was so proud when HRH Princess Anne opened the building in October last year. However, I also do these challenges because they inspire me to do more and I hope, inspire others Deafblind or not, to do challenges of their own. What you get out of life is largely down to what you put in and I’ve been so fortunate over the years with my family and friends and some amazing adventures. Now if I may, I’d like to add a bit more to what I said last night when I received my award and thank a lot of people. Firstly Abbie and Martin for accompanying us on our first ‘LEJOG’ tandem challenge in 2008 and for nominating me for the DSPY award. I’d like to think it was because they thought I deserved it but I wonder if it was also a thank you for not bullying them into doing any more challenges! Drena and Hammy for their support, encouragement and great company on all our challenges. Between us, we also saw some amazing scenery. Our son Josh for giving up his leaving school parties to cycle the Scottish Islands in 2011 and my godson Michael for accompanying us on our 2013 Scottish Cities ride. For the Three Peaks a massive thanks to Jerry and Fred who did all the cycling and who also completed their own 3 Peaks between them. As for the Three Peaks themselves, Judith, David, Gillian, Iain and Alison all helped Louise Jerry and Fred get me up and down safely. As well as the 3 Peaks Jerry and Judith also accompanied us on parts of our previous challenges on their yellow peril tandem. 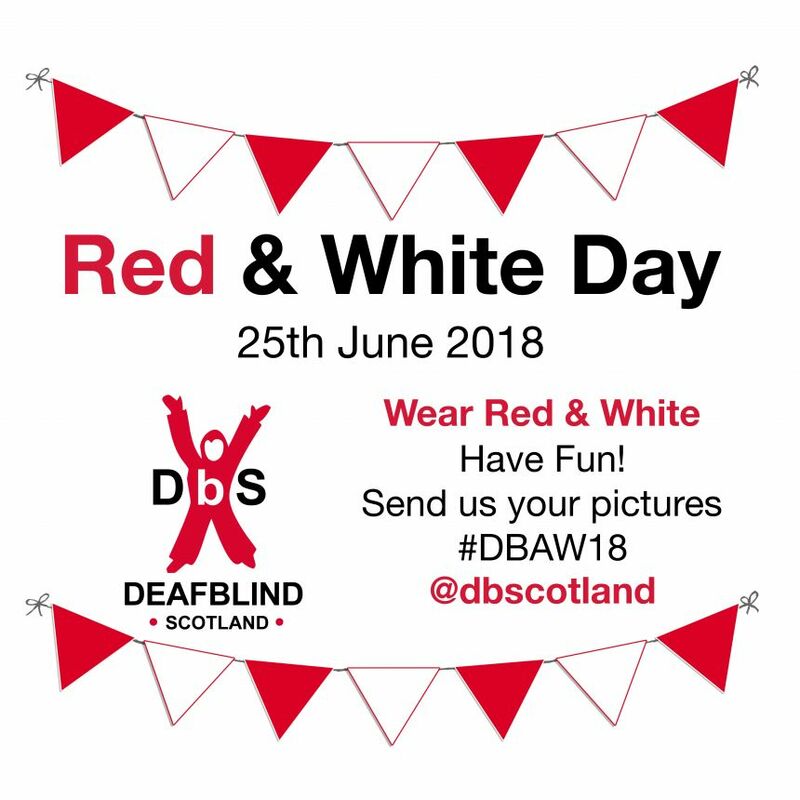 I’d also like to thank all my friends at Deafblind Scotland, DBUK, Shell and elsewhere for your generous support and sponsorship over the years. The real unsung hero of course is Louise. She has done all the Challenges with me on the tandem including 1000’s of miles of training and she climbed all 3 Peaks this year, mostly following my tortuous progress from behind to ensure I didn’t stray from the path. She supports me in everything I do and her cooking is not bad either! Lastly I want to remember Richard and Jane who supported our challenges so enthusiastically and Jane in particular for her brilliant blogs. Sadly, Richard succumbed to MND shortly after we completed LEJOG in 2008 and it’s hard to believe we lost our dear friend ten years ago now. I really miss him and as yesterday was also his birthday, I thought it was fitting to dedicate my award to his memory. Anyone who can come up with the immortal lyric “the prat on the tandem left his phone behind” surely deserves it. Thanks again everyone, you’ve been great … Kilimanjaro here we come! 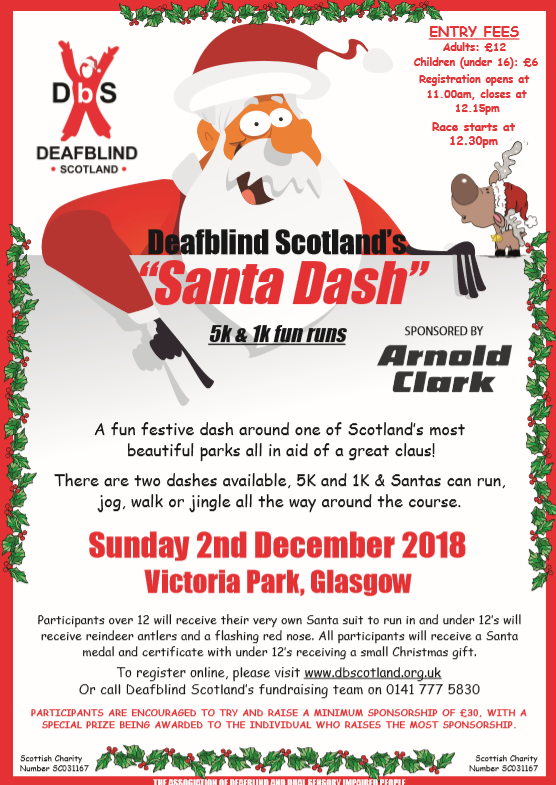 Taking place on Sunday 2nd December in Victoria Park, Glasgow! 2017 saw over 250 Santa’s and Reindeer take on the Santa Dash! 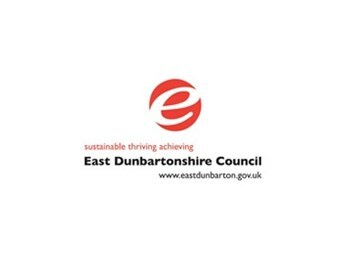 East Dunbartonshire Council have launched their Draft BSL Local Plan. You can access the Word .doc version here. If that version does not work on your computer you can try the .docx version here. Blog written by Jane, the daughter of Michael who is a board member of Deafblind Scotland. I’m not a fan of the obvious. For many reasons, but really only one that applies to this post. When thinking about this title in relation to my 77 year old, deafblind father it would be too easy to talk about some of the many amazing things he has done. 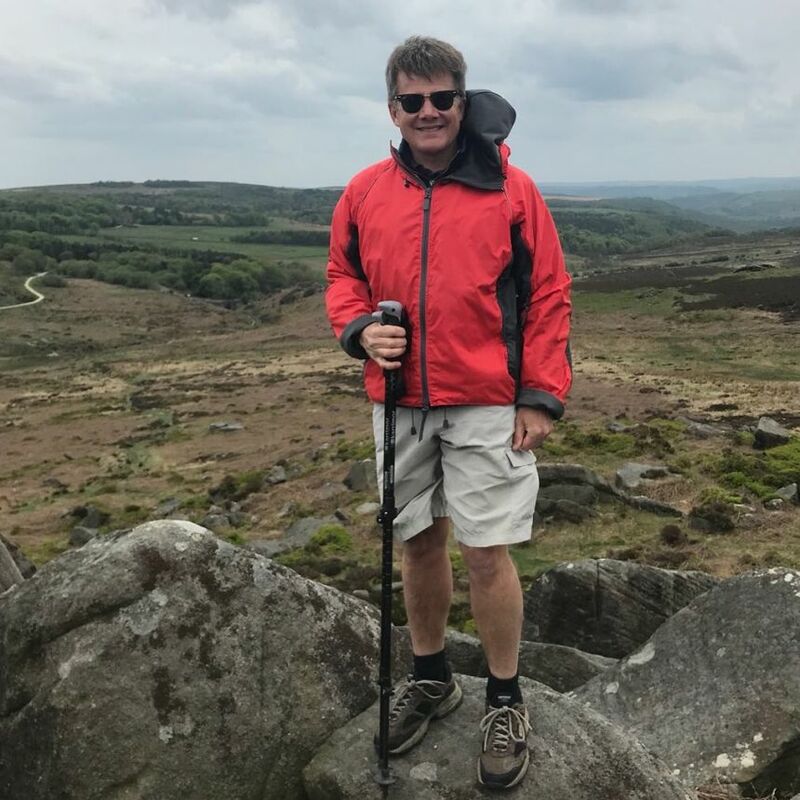 Like rowing the Union Canal, abseiling (more than once) walking Ben Nevis (aged 71), or completing a triathlon (aged 74…..he started easy with the Ben!) or trekking and wild camping across Scotland. But these things have been written and talked about lots and even has Dad asked me about writing this blog, that was the idea that came to his mind. The trouble with going with the obvious is that it can limit our horizon and our own narrative; who we think we are and what we can offer. We focus on past triumphs/adventures and forget to incorporate the newer or less obvious stories. Sometimes we don’t do this because we don’t see it; it takes someone else to point it out or see it for us. So I guess this is a little gift to Dad, and a reminder to myself (and you perhaps?) not to limit ourselves, venture out of our comfort zone, and explore our own “Undiscovered Country”. The things I mentioned above were all things that Dad accomplished after the loss of my mother. And this was a big loss for Dad, huge in fact. Apart from having 35 years of companionship and family life, Mum was essentially Dad’s carer; she helped him navigate his life and interact with the world around him. I want to say to Dad that I know how hard that adaptation has been and that he still feels that loss acutely. I recognise that. The thing is though, that sometimes adventures start from a sad place, or a scary place, or an unfamiliar, unexpected place. We say “hell no! I didn’t sign up for this!” And Dad really didn’t want this ‘adventure’. He wouldn’t even call it an adventure, but he has grown so much through this. Dad always said that Mum had done most of the parenting (and always downgraded his own parenting) but do you know who was there when I came out and said that I was gay? Yep, my evangelical, Presbyterian, deafblind dad! What’s the relevance of being deafblind in that story – well Dad wasn’t exposed to the growing media representation gay and lesbian folk and the gradual “normalising” of non-binary sexuality and identity. I mean, I’d been married and this came as a bit of shock to him, poor lamb. But he stepped up. Gave me a hug, parented and accepted me and broadened his experience and understanding of a life outwith his own. This came with a lot of challenges. There were (and still are) some heated exchanges! Dad has also had to interact socially without the support of mum, and we all know how much easier having someone to “go with” makes social occasions. Well, when you add being deafblind into that equation, well wow! And I know it doesn’t touch the sides of his loneliness, but the determination and sheer will to engage in social activities is representative of a true adventurous and indomitable spirit. (Yes, Dad I’m talking about you). He’s begun teaching Braille at the new resource centre and I LOVE that he’s got a second kind of career at 75+. When he told me he’d signed up for the drama group at the same centre you could have knocked me down with a feather! ​MY FATHER​??? Drama???? Talk about the adventure of redefining yourself! Dad may not think that he has made lemonade out of the lemons life handed him, but from my perspective he’s doing a pretty fine job. And I have learned to embrace challenges and not back down from things in my own indomitable and adventurous way. So I would encourage Dad and us all to keep on keeping on. It’s all we can do. Sometimes the adventure is outside and tangible, sometimes it’s having the courage to face our inner demons and seek light for our shadows. Adventures aren’t always fun or easy or nice but they are worthwhile. And they can be funny too….remember that trek? Well, I’ve got three things to say; outdoor toileting, biodegradable (read thin!!!) loo roll and wind…………. I have a visual impairment. I can’t see, I can hear a bit. But without hearing aids I can’t hear. When I put my hearing aids on, I can hear everything. My new adventure is I love coming out to Tollcross Park, or it could be any park. Before I lost my sight I never bothered listening to the sound. Since I lost my sight I love listening to the sounds. I come to the park in Tollcross and I love to sit nearby the burn, hear the stream, the ripple of water running through. And every kind of bird, especially the woodpecker. I love hearing the woodpecker hammering the tree. I just love coming out here, it’s an adventure for me. It’s relaxing listening to all the different kinds of sounds. I also like to come out with the help of a guide, they describe the flowers, and what’s growing in the area, it’s interesting. I have an image in my head, what they are like. But especially the sound, I never bothered before, but now I really appreciate the sound. I just love it. So bring your picnic! Wear your hearing aids and get out! Hi, my name is Bob Nolan and I am the chairperson of Deafblind Scotland and I myself am deafblind. I’ve been deaf since birth, my blindness was something that became more and more a problem in my teens. I have also noticed recently is that as my sight has continued to deteriorate, so has my ability to ‘hear’ or follow conversation. That wasn’t something I was expecting. I rely very heavily on lipreading, but as my sight is worsening, particularly in low light, I’m really struggling to lipread. By not being able to lipread I am missing out on a lot of things that earlier in my life I was able to follow. That has been a surprise to me, and unexpected. But, as with everything else, you find ways round it and you get over things. In terms of my life, I am someone who is outgoing, and likes to get out there and do things. Over the years I have done tandem challenges with my wife and friends, for Deafblind Scotland. Raising money and also raising awareness that being deaf and blind does not mean that you cannot live an active and full life. Helen Keller, who is probably the most famous deafblind person of all, famously said “Life is an adventure, or nothing at all” I love that. That’s how I like to live my life. I am a member of a hill walking group, I walk with Guides, and I get out there regularly. I go swimming in our local pool, which is an open air pool, even in winter. I love that I can walk to my local station and get anywhere in the UK on my own. Part of that is down to a red and white cane. The red and white cane tells people that the carrier is both blind, as in the white, and also deaf, that’s what the red stripe signifies. It’s important people know that. If you want to offer help, which I’m sure most people do, it’s possible that the person won’t hear you offer of help. Bear that in mind. Interestingly, I’ve travelled all over the world for Shell, and this red and white cane has opened so many doors If nothing else, people have seen me have stopped and hesitated, come over and said “Can I help you”, that’s been in India, Malaysia, Egypt, Nigeria, America, Norway, Holland, it doesn’t matter, that’s what I love. It’s given me the ability to travel independently for years, otherwise people might have expected me to have either a guide or a guide dog. Coming back to my favourite quote from Helen Keller “Life is an adventure, or nothing at all” That’s how I like to live my life. I hope that by doing the different things like riding tandems long distances, or climbing mountains, that I will inspire other deafblind people to go out and do things themselves. Get out there and enjoy what the world has to offer. I’m going to do the 3 Peaks challenge soon. We will climb Ben Nevis, Scafell Pike and Snowdon in a week. Inbetween cycle on a tandem, hopefully with a lot of support from deafblind friends and community. My advice to everyone else? Life is an adventure, make the most of it, get out there and enjoy it. 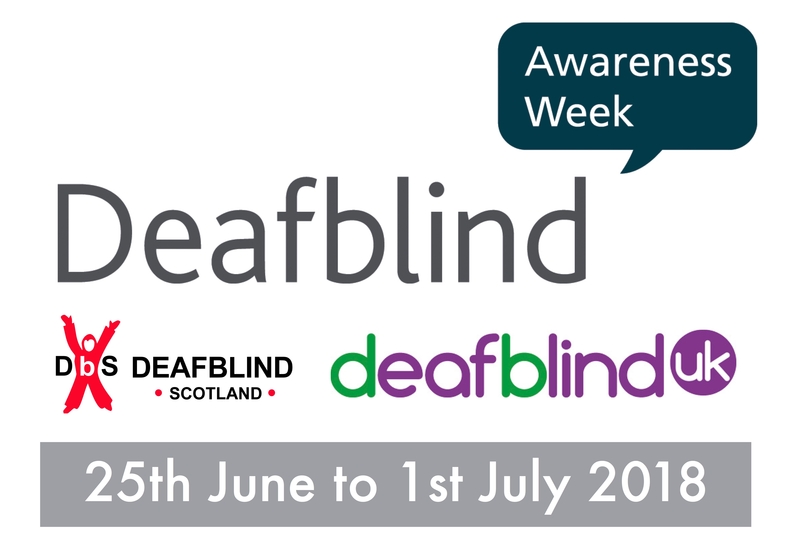 Visit our Deafblind Awareness Week Page for all the activities going on this week! 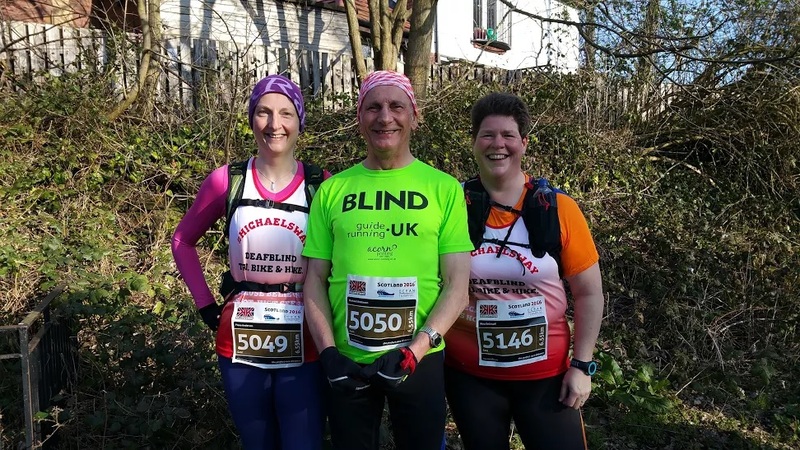 Bob Nolan, current Chair of Deafblind Scotland (DbS), has decided that his first project as Deafblind UK’s (DbUK) new Chair, is to take on a challenge that we believe has never been done before by a deafblind person. A challenge which supports raising awareness of these sister charities and spans 3 countries. Bob is taking part in the challenge as a lead up to Deafblind Awareness Week which starts on Monday 25th June 2018. There are a number of activities planned as Deafblind UK celebrates 90 years of helping the deafblind community. Of all the things we know about Bob, he will make this fun from beginning to end. 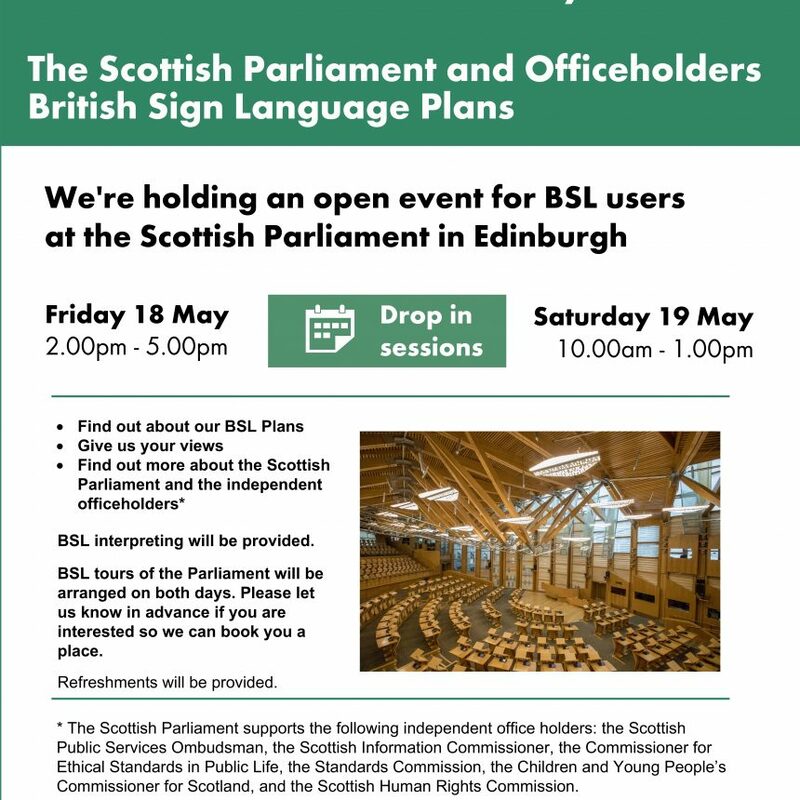 BSL interpreting will be provided. BSL tours of the Parliament will be arranged on both days. Please let them know in advance if you are interested so they can book you a place.